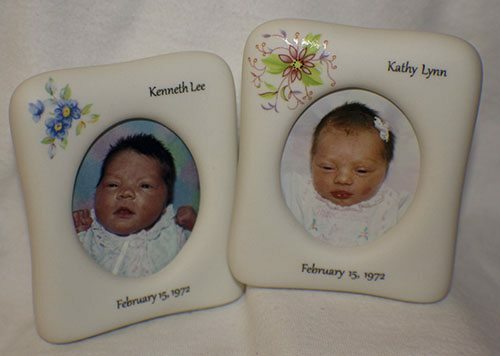 Treasured Baby Steps, formerly Baby Keepsakes, gives you beautiful mementos of unforgettable moments in your baby’s life. 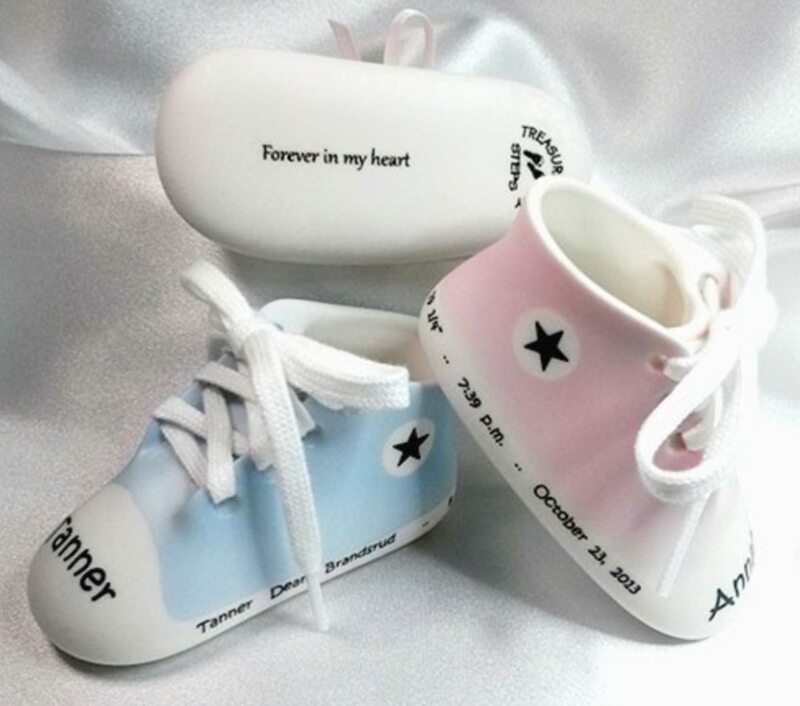 A porcelain baby shoe and bootie keepsake is a remembrance that both you and your child with cherish. 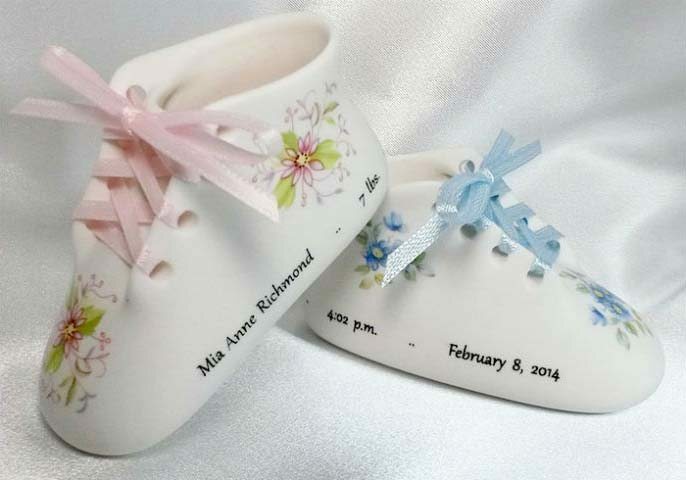 We personalize each delicate shoe and set of booties with name, weight, length, date and time of your baby’s birth, so the special moment is memorialized forever. 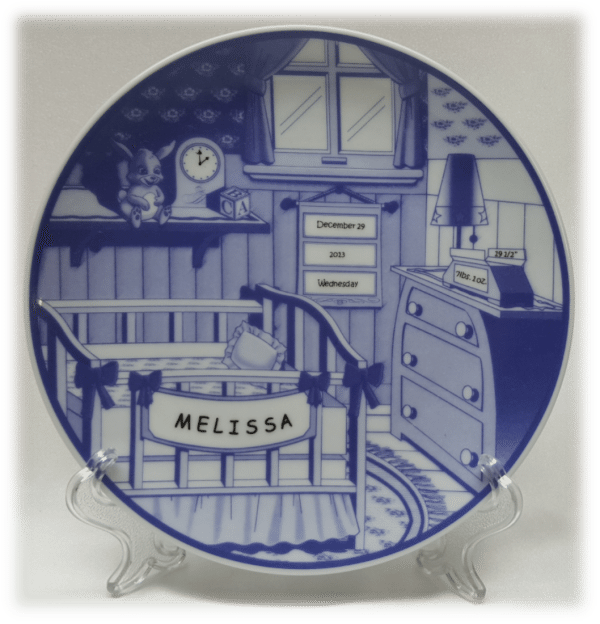 Each item is handcrafted from beautiful bisque bone china, so it maintains its pure white shine for a lifetime. Make that Special Day last Forever. I am mother to four wonderful children who are growing up so fast. I should call two of them young adults as they have flown out of the nest. My oldest daughter is making me a grandma and I couldn’t be prouder. 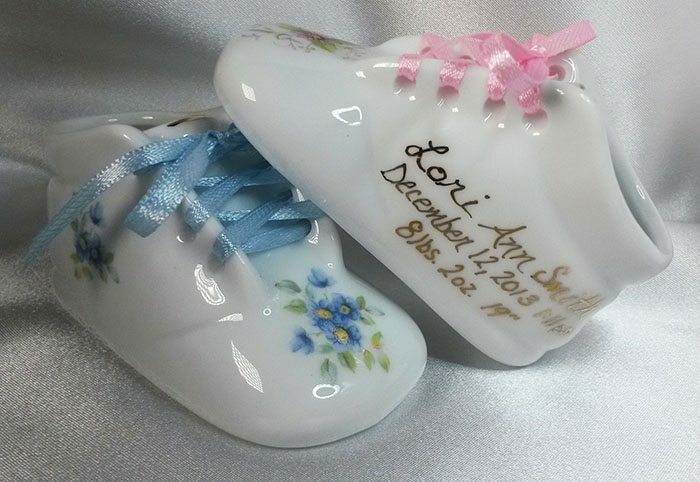 After the birth of my 3rd daughter, I received a porcelain baby shoe from my OB Dr. I was so excited about the thoughtful gift I could display forever. 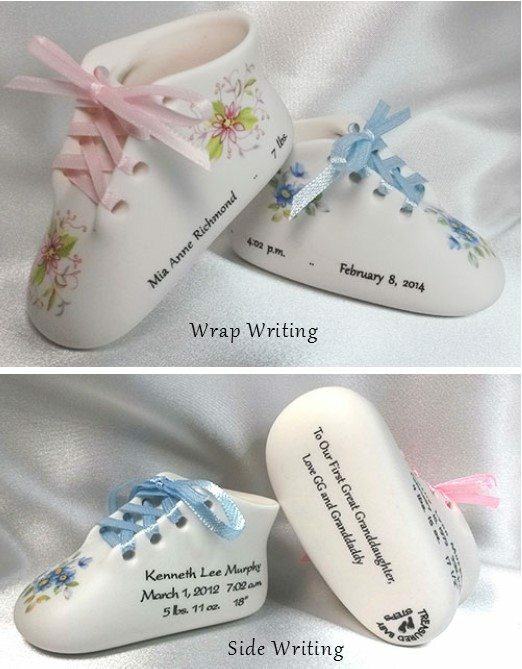 There is something for any occasion and I hope you enjoy giving or receiving them as much as I have making them.